Best Spring Hikes in the U.S. from The 10 Best Spring Hikes in the U.S. 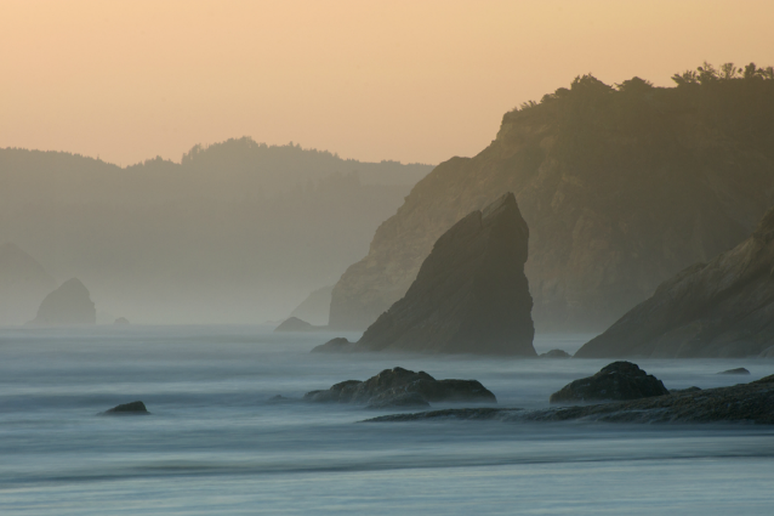 The 10 Best Spring Hikes in the U.S.
Set in Oswald West State Park, this 7.6-mile hike on Neahkahnie Mountain is classified as challenging, but it’s also said to be the best way to see the Oregon coast. Total elevation gain is marked at 1,700 feet, but must-see views of the Pacific make the effort more than worthwhile. Best Spring Hikes in the U.S.
Spring is the time to take in the budding flowers, enjoy the mild temperatures and avoid the crowds that flock to some of these amazing trails in the summer. 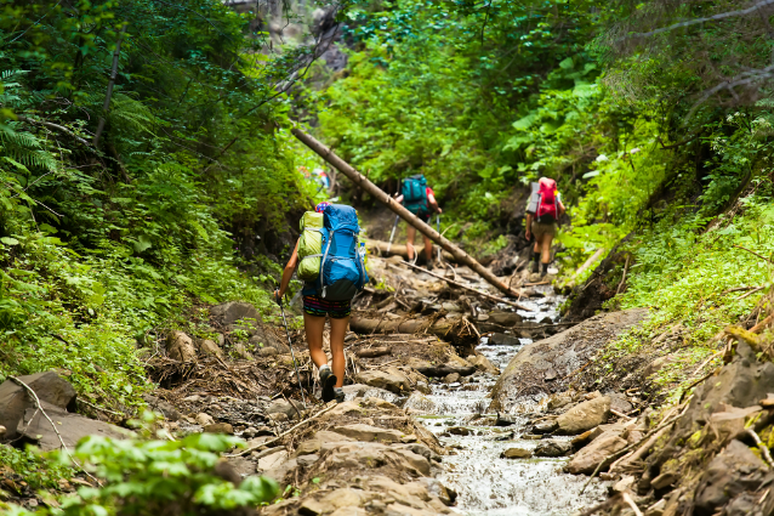 Before long it will be time to dust off those hiking boots and take them out for a few challenging trails, which is why we’ve put together a list of some great spring hikes. Upper Yosemite Falls—Yosemite National Park, Calif.
Take on one of the tougher day hikes in Yosemite and see the falls at their most magnificent. When the ice begins to melt, the falls are at their most powerful and you may even feel the mist from some spots on the trail. 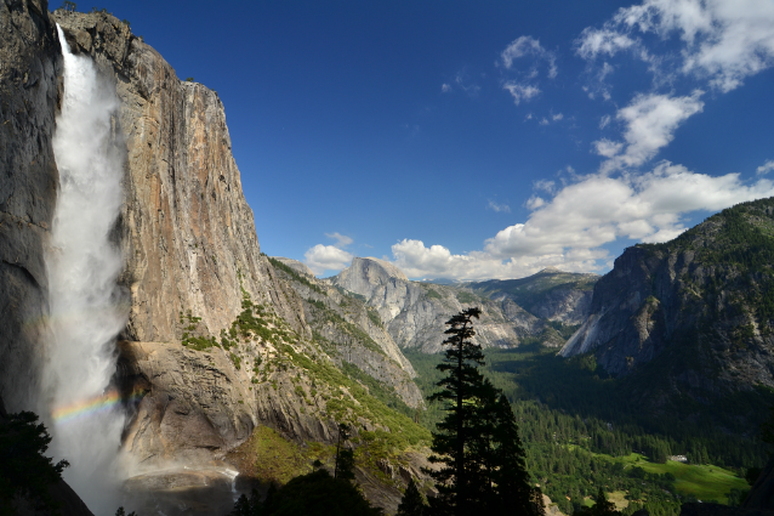 The 7.2 mile trek offers plenty of scenic lookouts, including Colombia Rock, which offers a breathtaking view of Yosemite Valley, Half Dome, and Sentinel Rock. You don’t have to summit to catch some amazing views, but if you can make it up through the melting snow and ice, we highly recommend it. The Waihee ridgeline is beautiful any time of year but the bright greenery and cool temperatures of spring offer hikers a real treat. 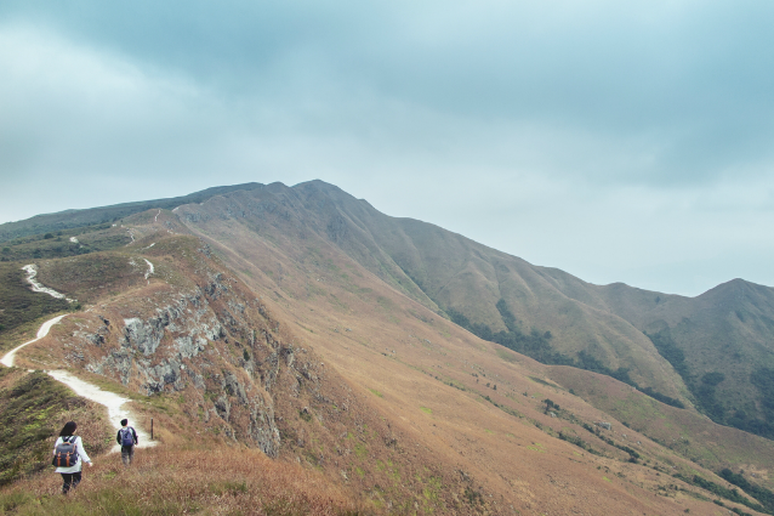 This five mile hike climbs more than 1,500 feet through lush forest and over a winding ridge. The beginning of the hike may be a bit brutal but the views of water cascading off Makamaka'ole Falls are amazing and seeing the valley from the farthest peak is incredibly surreal. 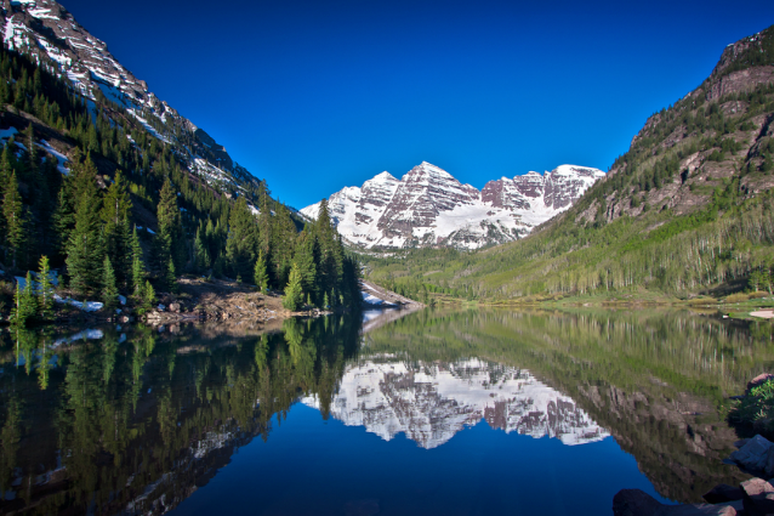 Maroon Lake Scenic Trail—Aspen, Colo. The views on this trail are said to be Colorado’s most photographed landscape, but the hikes are not to be overshadowed. The area offers everything from easy, but rewarding two-mile hikes to treks peaks that stand at more than 14,000 feet each. 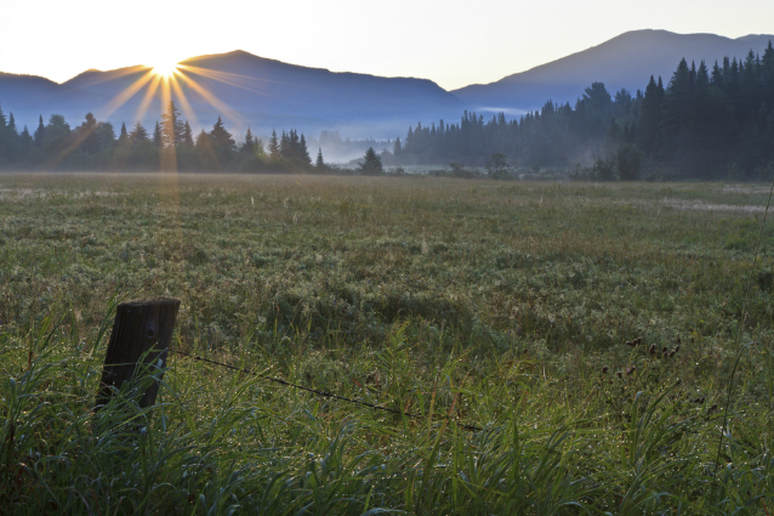 With the popularity of the area, you won’t be alone in your adventure, but spring is the time to enjoy lighter crowds and, in late spring, you might catch some blossoming wildflowers. Named for the waterfalls at the mountain's base, Cascade is one of the 46 Adirondack High Peaks, and is said to be the easiest to scale. A great choice for beginners or anyone looking for a stunning view of New York's Green mountains and Lake Champlain, the 4.2 mile hike is classified as easy, but the views are hard to come by anywhere else. 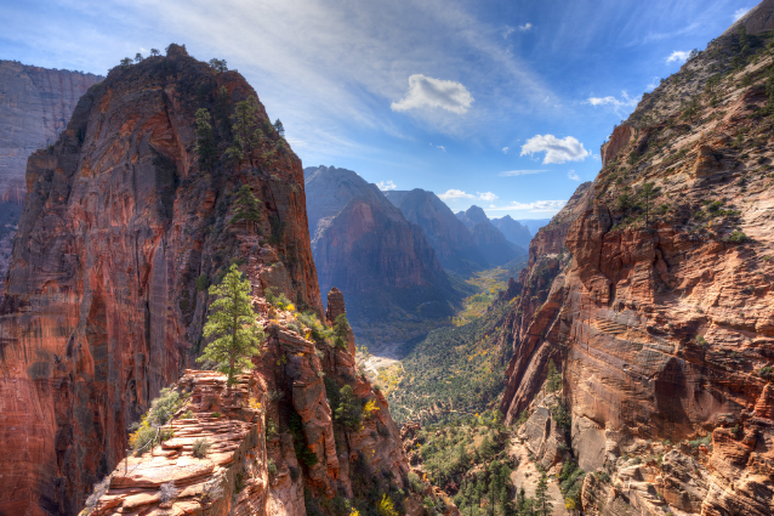 Angels Landing may have been named for its remote route, but the difficult trek is well worth the effort. Begin by scaling cliffs with the help of chains bolted into rock and reach the best views by negotiating a narrow rock fin with steep dropoffs on either side. Hikers enjoy spring at Zion for the temperate climate and sparse greenery, but regardless of the time of year red rock fans and dare devil hikers won’t be able to pass on this amazing trek. 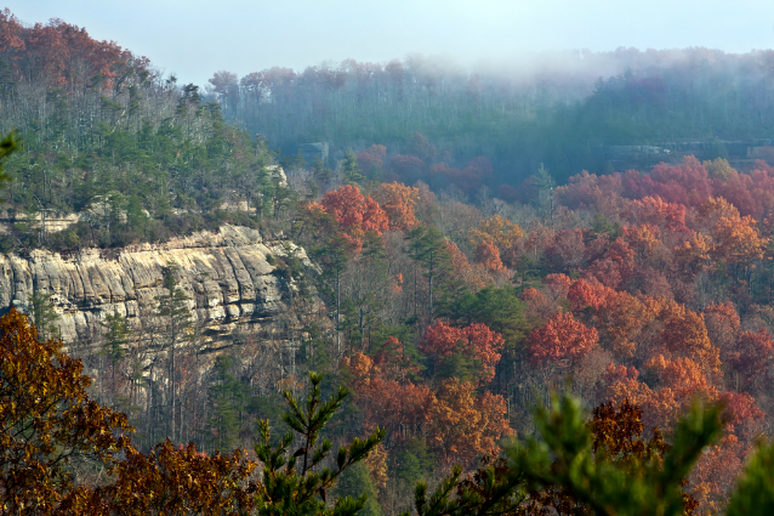 Vast, well-preserved Cohutta wilderness is home to one of the best trails in the Southeast. Jacks River Trail follows its namesake, and crosses occasionally, so don’t count on staying completely dry. 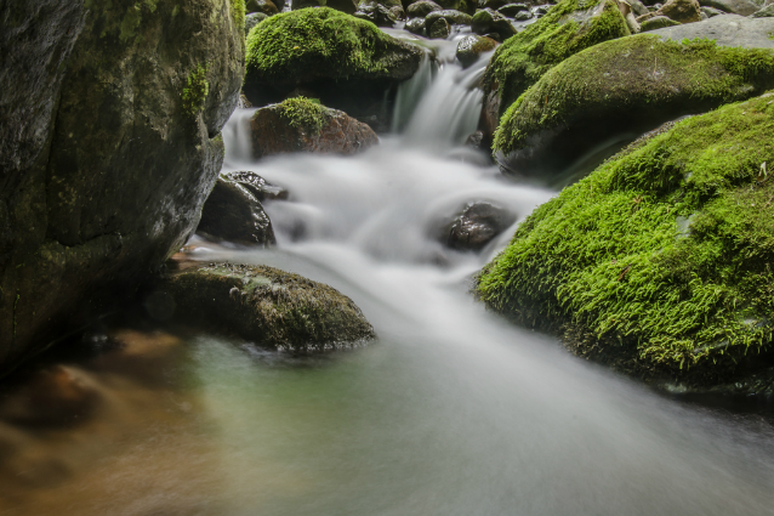 The trail offers access to lush greenery, clear swimming holes and ideal camping spots. The full hike is 16.2 miles long, which makes it a perfect weekend hike for those with some experience. The Honey Creek Loop is the most challenging trail in the area, recommended for expert hikers only, but it’s worth the effort. 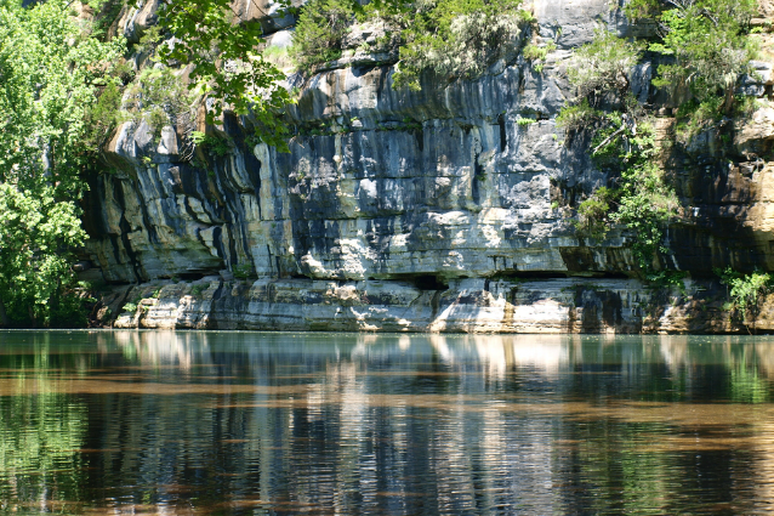 The trail offers a descent into a cliff-enclosed pool, a look at a waterfall, an array of unique rock formations throughout and several creek crossings. For the short five and a half mile hike, experts say you’ll need at least an hour per mile and warn against going after a big storm, as the extra water could make this challenging trail nearly impossible. 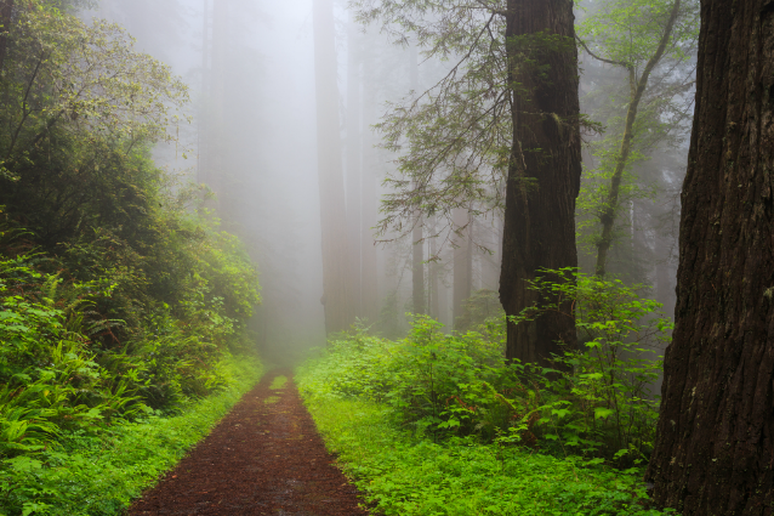 Tall Trees Grove—Redwood National Park, Calif.
Home to some of the tallest trees on earth, Redwood National Park is a must-see spot in the spring and Tall Trees Grove is the perfect hard-to-access hike. For preservation reasons, park officials only let in a limited number of cars each day so get to the Kuchel Visitor Center early. The hike is almost eight miles long (round trip) and just getting to the trailhead requires a 45-minute drive but the serenity and remoteness is worth the journey. Hemmed-In-Hollow Falls—Buffalo National River, Ark. This top spot for paddlers is also a hiker’s haven and the area is most impressive in the spring. With the water flowing rapidly, hikers can take in the view of Hemmed-In-Hollow Falls, standing at 204 feet high it’s one of the tallest cascades in the Midwest. Hike 3.8 miles to reach the falls and tackle some serious incline on the way to the breathtaking sight.